Last Tuesday I heard the stories of two men who each played crucial roles in the twentieth-century theatre, born within a few years of each other, but while one is a household name, the other is often overlooked. These men are Sam Wanamaker and George Devine. Dr Paul Prescott, of the University of Warwick, gave a talk to Stratford’s Shakespeare Club on the subject The Life, Adventures and Opinions of Sam Wanamaker. He recounted how, when he had been asked to write a short biography of Wanamaker, a man universally known as the founder of Shakespeare’s Globe, he went to Wanamaker’s archives at the University of Boston and the archives of Shakespeare’s Globe. He found that the preconceived notion of Wanamaker as a man with a lifelong devotion to the Bard, obsessed by the desire to see the plays performed in original conditions, did not bear scrutiny. Wanamaker’s entry in the Dictionary of National Biography, written by Charles Marowitz, recycles the idea that Wanamaker’s childhood experiences of Shakespeare in other replica Globes led to his passion to create one in London. 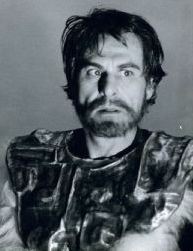 Prescott revealed that Wanamaker, born in 1919, did play small parts in 50-minute tabloid versions of Shakespeare plays at the Cleveland World Fair in 1936, but instead of inspiring an interest in authentic productions, these experiences convinced him that Shakespeare should be popular and accessible, not directed at an intellectual elite. His career thrived, but Wanamaker had briefly been a member of the Communist party and fled to the UK after the war to escape the McCarthy witch-hunts. In 1957 he got an opportunity to run the renamed New Shakespeare Theatre in Liverpool, which was to offer “the best entertainment in Britain”. In spite of the name, no Shakespeare was offered and the programme consisted of family crowd-pleasers and contemporary American plays. 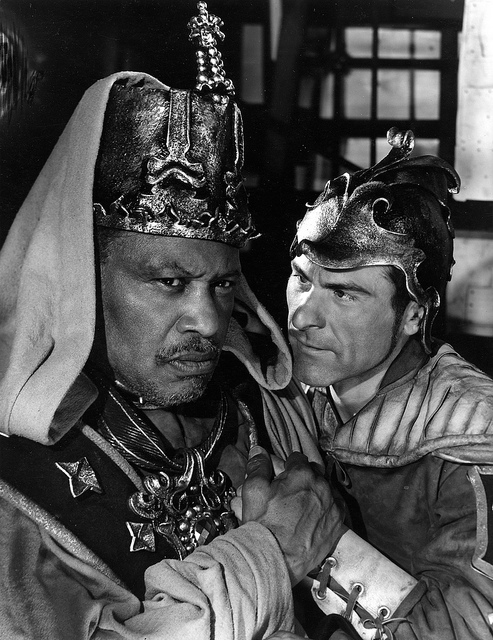 In 1959 he performed in Tony Richardson’s production of Othello at the Shakespeare Memorial Theatre with the legendary black American singer, Paul Robeson. Desdemona was played by Mary Ure, married to playwright John Osborne. She had played Alison in the original 1956 production of his play Look Back in Anger. The production was intended to be unconventional, to be “a kick in the pants for Stratford”. After this, Wanamaker acted and directed in only one more Shakespeare play, a production of Macbeth in Chicago in 1964. Envisaged as a fable of the Cold War, the production was elaborate, with cumbersome sets, a large cast and an atonal music score. His career only really found a direction after he founded the Shakespeare Globe Trust in 1967. As well as rebuilding the theatre, he wanted it to be part of the community, and to regenerate what was then a very run-down area of London. What, though, did Wanamaker intend for the Globe? The Trust’s Declaration of Purpose was non-committal: “to produce the plays of Shakespeare and his contemporaries with the highest standards”. Between 1972 and 1975 often irreverent productions from around the country were staged under a tent, including Antony and Cleopatra in modern dress, starring Vanessa Redgrave. Wanamaker’s stated purpose, once the theatre was rebuilt, was to do one “authentic” production a year while the rest would be modern. These are what Prescott called “forgotten chapters” in his history. George Devine was profiled in Matthew Parris’s radio programme Great Lives. He was nominated by actor Peter Bowles who hopes to raise awareness of his importance in the history of theatre. Devine was born in 1910, and most of his life was bound up with theatre, beginning while at Oxford University. Both an actor and director, during his early professional life he co-founded The Old Vic Theatre School and Young Vic Company and founded the London Theatre Studio. He directed a number of Shakespeare plays at the Old Vic and at the Shakespeare Memorial Theatre from 1952-1955, also appearing as Dogberry in Much Ado About Nothing and the Earl of Gloucester in Isamu Noguchi’s eccentric Japanese King Lear in 1955, which Devine also directed. He’s best known, though, for being the first Artistic Director of the English Stage Company at the Royal Court Theatre from 1955. 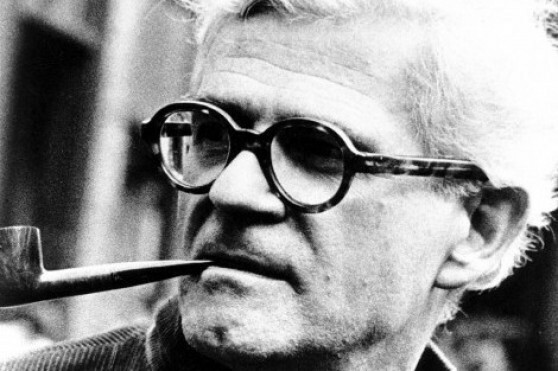 His objective was, as he wrote, “to get writers, writers of serious pretensions, back into the theatre”, not simply to entertain, but to engage the audience. West End theatres staged only plays sure to be popular at the box-office. The Royal Court was a writers’ theatre where young authors were given the chance to experiment and sometimes fail. Reviewer Ken Tynan comments, in a recording, “For the first time… my generation was on stage”. It’s best known for Osborne’s play Look Back in Anger, directed by Devine’s close friend Tony Richardson but many other writers such as Edward Bond and Joe Orton were given their opportunities. Devine earned great respect from theatrical colleagues and the programme includes interviews with some of the greats: actors Edith Evans and Laurence Olivier, and director Michel St Denis. Devine thought he had utterly failed to make theatre “part of the intellectual life of the country”, but the programme pointed out that both the National Theatre and the Royal Shakespeare Company were founded as a direct result of his work. 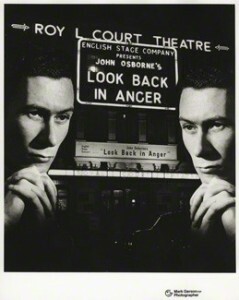 Both men were dissatisfied with the theatrical world of the 1950s, but responded in very different ways. 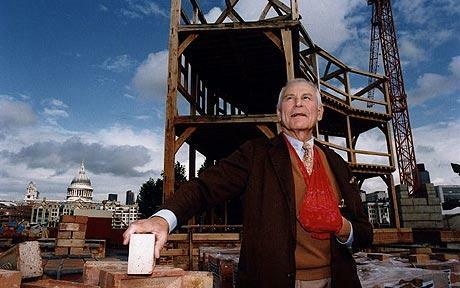 It’s perhaps ironic that the Sam Wanamaker Playhouse is being built with a scrupulous historical accuracy that Wanamaker never insisted on himself, but it’ll be a memorial to the willpower of this extraordinary man. For more information read Farah Karim-Cooper’s blogpost Ten reasons to get excited about the Sam Wanamaker Playhouse at Shakespeare’s Globe. George Devine, however, has no permanent memorial, though he would appreciate the fact that the George Devine Award for the Most Promising Playwright, celebrating the best writing for the theatre, is awarded annually. This entry was posted in Legacy, Shakespeare on Stage and tagged Farah Karim-Cooper, George Devine, Great Lives, Matthew Parris, Paul Prescott, Peter Bowles, Royal Court Theatre, Sam Wanamaker, Shakespeare's Globe. Bookmark the permalink.